Surrounded by the amazing Val Pusteria next weekend May 6-7 will be held at the Music School in Bruneck (BZ) a masterclass of saxophones opened to all students, musicians profis and not. 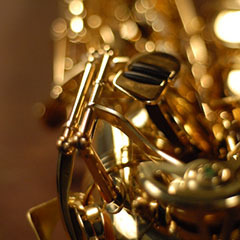 The whole range of Sequoia Saxophones will be exhibited during the weekend and will be at disposal for testing. Roberto Buttus will be ready for repairs and assistance on all Sequoia instruments. A chance absolutely not to be missed: the Sequoia saxophones in pole position! 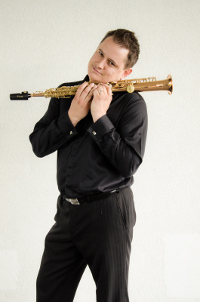 LEV PUPIS IN TOUR IN U.S.A.
Our Sequoia artist Lev Pupis together with his "inseparable" Sopran K91 and his quartet 4 Saxess will be in tour in U.S.A. from April 24 to 30, 2016. 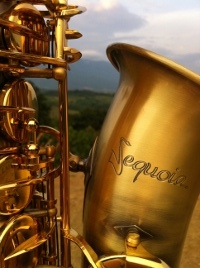 Another wonderful chance to broaden the horizon and take the Sequoia saxophones overseas. Thanks Lev, fingers crossed and keep up the amazing work! The Italian Financial Act Stability Law 2016 introduces the chance to benefit of Bonus Stradivari (a discount of Euro 1.000,00 on purchase of a new instrument) for all students from Conservatory and Institutes of Music. A great chance! Do not hesitate to contact us. We are at your complete disposal. The "hurricane" always full of ideas Prof. Lev Pupis, the Sequoia saxophones and SOS JUNIOR will be the leading characters during the weekend January 23rd and 24th, 2016 in Bled (Slo) where the 2°AS Festival entirely dedicated to the sax inventor: Adolphe Sax will take place. The Festival, will be headed by the Prof. Lev Pupis, and will have in its programm masterclass, concerts and various performances for all sax players of any level and genre. The young Slovenian sax players will have moreover the chance to perform, during the concerts, both as soloists and as chamber musicians. Music for all tastes! 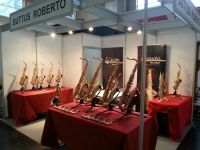 Roberto Buttuswill be at the Festival both in order to exhibit the Sequoia saxophones and also to give advices, infos and in "urgent cases" a service of "small" repairs. Enjoy yourself! December 12, 2015 in Wolfsberg (AT): a concert absolutely not to be missed with Edgar Unterkirchner, James Moore, vocals and piano, and Renate Altmann harp. A small magic jewel before Christmas! Our artists are always capable of meeting challenges and Edgar Unterkirchner is sending us a small "jewel". An absolutely free improvisational performance where the saxophone meets poetry, singing and painting for an amazing result. The olny leit-motiv of these three artists Edgar, the painter Manfred Bockelmann and the lyrical swedish singer Malin Hartelius, will be the poetry of Christine Lavant. Art doesn't follow fixed patterns and in this situation there's only space for feelings and emotions. Next Sunday November 29, 2015 at 21:00 our artist Alessandro Leo will be exhibiting in a concert Nomadie Sonore with the SpanatOrkestra at the Centro Albero dei Desideri in Montebelluna (TV). We let them introduce this original project: "Our group was born in 2013 as an acoustic crossover of tracks coming from all over the world. A kind of world tour though natural sound, without electronics and a bit of sense of fun". We are glad that the Sequia saxophones can be able to be played in new experiments. This conferms that they are deeply versatile. What else to be said .... absolutely not to be missed! Break a leg, guys! LEV PUPIS MEMBER OF THE JURY AT THE INTERNATIONAL MUSIC COMPETITION "MARCO FIORINDO"
From November 23rd to 27th the "International Music Competition "Marco Fiorindo" will take place in Nichelino (TO) and the tireless Lev Pupis will be one the the members in the jury. Great job Lev! We are sure you will always be a careful and fair member of the jury capable at the same time of communicating passion and enthusiasm to all participants. Novembre 22nd, 2015: the Sequoia saxophones and the artist Aldevis Tibaldi will be exhibiting at the Cardiff Workshop. Lev Pupis is a tireless and hardworking artist! 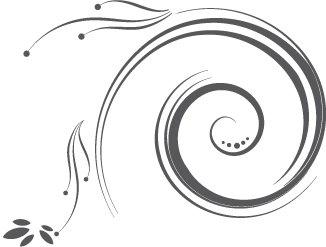 From November 16th to 22nd EMONA 2015 the International Music Festival will take place at the Conservatory of Music and Ballet in Ljubljana (Slovenja). Lev Pupis, founder of EMONA and member of the organizing committee, has been able to make this event become an absolutely "not to be missed" one for all young musicians from Slovenia and not only. Like him we do believe in youth as well. Young guys are the future and the hope that music will last forever. Thanks Lev for being an educator and not only a teacher! 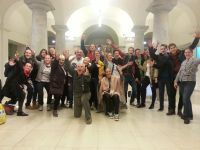 VIENNA SAXOPHONE, UNFORGETTABLE DAYS HEADED BY LEV PUPIS AND A SPECIAL TEAM! A warm fall, a friendly town surrounded by music everywhere and a group of young musicians ready to show up their artistic skills with their Sequoia saxophones. Man could feel their emotion and trust at the same time in their conductor and their teachers. The result was amazing. Great guys, keep up the amazing work! Thanks Lev, for the excellent organization. Your competence and professionalism made the Sequoia saxophones live magic moments. You are amazing, Lev as usual! We are honoured, we got emotions and a pich of right pride when we communicate that our friend and Sequoia artist, Lev Pupis has been elected member of the International Saxophone Committee. This is an amazing reward and a great acknowledgement that follow year of hard work, constant study and overwhelming passion for music. Thanks so much, Lev! You are one of a kind! 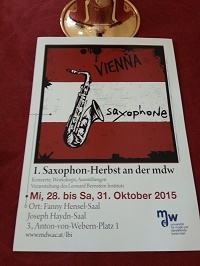 The amazing Haupsburg's town will be hosting at the Mdw the University of Music and Performing Arts in Vienna next Saturday, October 31, 2015 from 09:00 a.m. to 15:00 (3:00 p.m.) our Sequoia saxophones. The Sequoia exhibition is part of the event 1.Saxophon-Herbst an der mdw a contest based on concerts, workshops e shows aimed at "the development and understanding of arts". In contradiction with the austrian composer Arnold Schönberg who stated: "If it is art, it is not for everybody, and if it is for everybody, it is not art" the Mdw, the University of Music and Performing Arts in Vienna, being the Austria's largest cultural institution and organizer of events, feels the burden of using arts to stimulate the dialogue with the public by using movies, music and theatre in order to make the art available to everybody. When Austria calls up, the Sequoia saxophones respond! Break a leg! "From Bill Evans to Thelonious Monk, from ancient blues suggestions to revisited Beatles from standards to original tracks and free sound, this duet extends his cross over knowledge by exploring any way of creating interactions with the sound". The Sequoia artists are leaven for constant projects, works and events. We proudly take the chance to introduce the new album Twentysix-Three produced by Aldevis Tibaldi, an amazing work where he has decided ... "to crystallize the work made for many years during the concerts with different partners to reproduce in studio all feelings and emotions receive by playing live concerts". We have the feeling Aldevis really did it! Listenting to the tracks gives a deep sense of calm, warmth and passion. In few words a sound able to reach the soul!. Fantastic Aldevis! Just listen to! The CD is also available in vynil. Enjoy it! As the metronome beats the time, in the same way the world of music is beaten by some special events which mark the beginning and the end of particular moments. 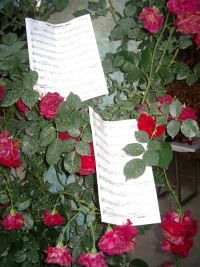 An example is given by the school concert which marks the end of the school and the beginning of the summer as well as the Christmas concert. The Saxpower in Radenci (Slovenia) will take place this year from August 18 up to 21 and represents for all saxophone players, both beginners and profis, the beginning of a new year in music and at the same time the end of the summer holidays. Radenci, anyway, always remains a date not to be missed for anyone who wants to breath and fully live the world of saxophone. 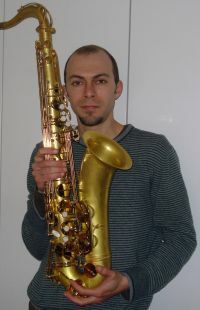 The Sequoia saxophones together with Roberto Buttus will be there in pole position. Sign up on our Facebook account to be constantly informed and in touch with the amazing world of Sequoia Saxophones. June 12th, Concert at Kultursommer St Paul with the swedish sopran singer Malin Hartelius and the organ player Michael Schadler. 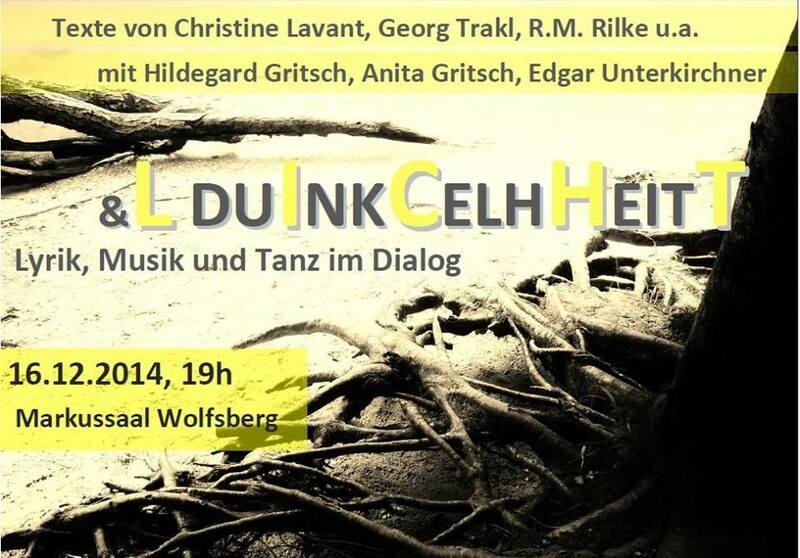 July 5th, Concert Schubertreise und Improvisation at Orgelfestival Lockenhaus with Wolfgang Horvath (piano). A summer under banner of absolute live music for Federico Missio and the artistic movement The Naked Ape. Their aim: keep curiosity constantly alive. Their unique evenings in the attached flyer ......... Do not miss them! Summer and Music the perfect liaison for an amazing holiday! Aldevis Tibaldi is the artistic director of the music festival "Bethnal Green in Jazz" which will be held every Friday from May 1 to May 22 at the Oxford House in London. Four Fridays to listen to four top London jazz groups who will exbibit in their various styles. A chance absolutely not to be missed just to listen to very good music! On May 15, Aldevis himself will exhibit together with the London Ensemble and meanwhile he will present his new CD. Good luck, Aldevis! We are looking forward to listening to your new work! The medieval castle of Ljubljana will be the amazing scenario for the concert of S.O.S. Orchestra together with the young percussionists of Ljubljana Academy of Music and the pupils of the Velenje Fine Arts High School next Tuesday, April 21, 2015 at 19:00. 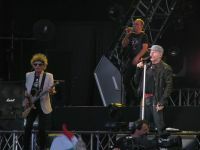 The concert of S.O.S. Orchestra is included in the programme of five concerts "Milko Lazar & Matjaž Drevenšek with Guests" at the Ljubljana Castle where Milko & Matjaž will use their own instruments as starting point to create a kaleidoscope of compositions across various periods and styles supported in this project by internationally acclaimed colleagues and friends as Zlatko Kaučič, the SOS Saxophone Orchestra, Marko Hatlak, the Zagreb Saxophone Quartet, Vasilij Meljnikov, Nino de Gleria, Brane Zorman and others. S.O.S. Orchestra, starting from the traditions of Stravinsky and Ligeti, will present three new works by Slovenian composers especially written for them and for this occasion. A chance absolutely not to be missed in order to discover the union of dance and ethno in art music. We wish you all the best, guys! We are very proud of you! 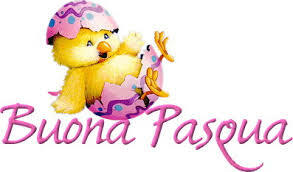 Roberto Buttus together with the staff Sequoia wishes a very happy and sunny Easter. James Thompson & Sequoia Saxophones: magic & goose-pimples! 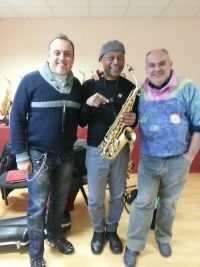 A myth, a legend of jazz music, the well-known saxophonist of Zucchero and Paolo Conte, Mr. James Thompson has crossed the threshold of Buttus workshop, together with Angelo Chiocca, and has played the Sequoia saxophones. The palpable emotion, the joy and enthusiasm that James has awaken in all staff have been unique. An amazing, funny and friendly person able to offer by playing the Sequoia sax moments of magic, emotion and goose-pimples. Thanks James, you are one of a kind and it was an honour listening to you! We confirmed the truth of R. Wagner's quotation:"where the power of words stops, the music begins". Four unforgettable nights the ones our versatile sax player Angelo Chiocca and his MONO Band will reserve to us together with two international guests; the amazing folk singer from Atlantawinner of one Grammy Award Gwen Hughes and the legendary, well-known sax player of Zucchero, Platter and Paolo Conte Mr. James Thompson. 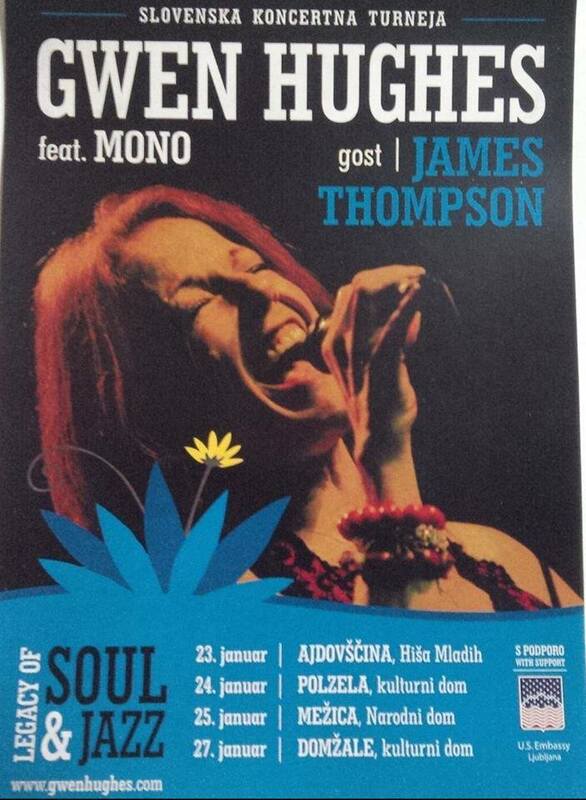 They will start on Jamuard 23rd in Ajdovščina (Slo) at Bar Hiša Mladih to carry on January 24th in Polzela (Slo) at Kulturni Dom, on January 25th at Narodni Dom in Mežica (Slo) and closing night January 27th at Kulturni Dom in Domžale (Slo). Absolutely not to be missed! Thank you so much Angelo! we have stored on your account nr. 2015 at the Happiness Bank, 365 days of health, luck and love. We wish you all Merry Christmas and Happy New Year. Events full of emotions and enchantment! Here there are Edgar's Christmas concerts: absolutely not to be missed! "WHEN THE SCHOOL TEACHES MUSIC... THE MUSIC CREATES ALL THE REST". It's known that all musical activities positively affect kids with disabilities. Not only music creates relationships but also stimulates creativity, helps them to freely express themselves by increasing their self-esteem... music consolidate self-confidence, socialisation and helps to overcome all frailties. Since 2012 Alessandro Leo has been working with Prof. Ilario Carrer and all his staff to create events aiming at sensitizing music and disability. You are all invited next Wednesday December 3rd at 20:30 at the Teatro Busan in Mogliano Veneto (TV) for the concert "MusicalmenteAbili". Thanks Alessandro for your sensitivity and attention ... because "what we do is just a drop in the ocean, but if we do not do it the ocean will have a drop less". The duo Unterkirchner/Horvath presents Schubert in an unusual role. No limits for the Sequoia artist and Edgar represents a glaring example! Since 2007 Edgar, together wih the piano player Wolfang Horvath, has been working on an unusual project: to propose again the music of Schubert with sax and piano. The untiring and constant search for the ideal sound, the intense experimentation and some journeys in Italy at Roberto Buttus' worshop, able to listen to and customize Edgar's Sequoia sax, have taken a dream to become true. A special event that also the Austrian Broadcasting Corporation OE1.ORF.AT suggests. Congratulations! We are proud and honoured to be part of this success! A busy period full of concerts is the Advent 2014 for our Sequoia artist Edgar Unterkirchner...... music, music and still music! He will be starting on Saturday November 29th at 6.30 p.m. with the Advent Concert in Raiding (AT) at the Lisztzentrum. An event absolutely not to be missed! HAPPY BIRTHDAY MONSIEUR ADOLPHE SAX! AMAZING CONCERT IN BLED (SLO) NEXT SUNDAY NOVEMBER 30, 2014. During the celebrations for the bicentenary of Adolphe Sax birthday, the belgian inventor of saxophone, the SOS Orchestra together with SOS Junior will be playing together in a wonderful concert at 5.00 p.m. at the Festival Hall in Bled (Slo). Before the concert there will be the Opening of an Exhibition dedicated to Adolphe Sax and the welcome of the belgian ambassor Mr. Paul jansen at 4.00 p.m. The whole day will offer concerts, workshops and events ... a chance absolutely not to be missed in order to enter the world of saxophones and the Sequoia saxophones will be the honoured members! A COMPETITION FOR YOUNG SAX PLAYERS UUNDER 14 IN FAZANA (CROATIA) WILL TAKE PLACE NEXT NOVEMBER 21st AND 22nd. SaxIstra Sequoia 2014: a young competition based on a lot of music and great friendship is taking place in Fažana (HR) at Fažana Multimedia Center. The gold medal will receive a saxophone Sequoia K85 Classic ... the Sequoia saxophones alway frontline!! All the best guys! Just take this chance as a moment of professional and personal growth. The versatile quartet 4Saxess capable of matching different styles from classic music to modern up to jazz, etno and crossover will be helding concerts together with prestigious artists of international music world. They will be starting next Monday November, 10 at 08.15 p.m. at the Kulturni Dom in Nova Gorica (Slo) playing together with famous flute players like Carlo Jans and Liza Hawlina Prešiček and the harpsichord player Tomaž Sevšek. During the event EMONA FESTIVAL, the International Festiva of Music held in Ljubljana (Slo) at the Conservatory of Music and Ballet from November 7 to 13, the 4Saxess will be exhibiting next tuesday November. 11 at 07.00 p.m. Absolutely no to be missed because they are able to create emotions, to rapture the soul and communicate great passion for music!! Last but not least! The important concert which will be held in Bled (Slo) next November 30, during the celebration for the bicentennary birth of Adolphe Sax. Roberto Buttus and his Sequoia saxophones lived an unforgettable experience in the period from July 14 to 21. The warm welcome, the enthusiasm both of participants and teachers were so much enrapturing that a new challenge is born.... the Sequoia saxophones cannot stay closed in a workshop! The Sequoia Saxophones together with Roberto Buttus will be leaders at the International Competition "Marco Fiorindo". Upcoming December 4th to 6th, during the International Music Competition "Marco Fiorindo", the saxophones Sequoia will be the leading characters. Not only because the First Prize will be a Soprano Sequoia mod. Silver but also the complete range of saxophones will be presented by roberto Buttus on December 4th and 5th. Once more the Sequoia saxophones in pole position! 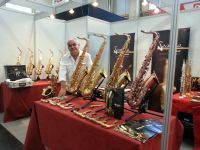 Roberto Buttus the well known master repairman of wind instruments in Friuli as well as sax manufacturer will be talking about the versatile world of saxophones during an interview on Radio Sorriso. He will be on air on Friday May 30 from 14:00 to 15:00 and back in reply on Saturday May 30 from 15: to 16:00. It's a great chance to enter and discover a fascinating and also mysterious world where passion, creativity, commitment and manual dexterity create a medley for a special result: the saxophone! The month of July is full of events and emotions ....... that only Lev Pupis with his soprano Sequoia and 4Saxess are able to give. Abosolutely not to be missed!! What a satisfaction .... close to shiver!! The soprano Sequoia at the Livekom014! Andrea Innesto "Cucchia" with his soprano Sequoia lemon will be the absolutely main character tonight July 14th, and in all other dates (July 5-9-10) on San Siro stage for the most powerfula and emotion rock show: the LIVEKOM014 the amazing and constantly sold out concert of the italian rocker Vasco Rossi! Thank you so much Andrea! You are amazing!! Next Sunday May 25, 2014 at 21:00 (9.00 p.m.) at the Centro Polifunzionale "Albero dei Desideri" the Sequoia artist Alessandro Leo will be presenting in cooperation with the author Antonella Chionna a literary and musical Reading "Epifanie Baritonali" where poetry & musica will be melting together ".... in the present: here and now". Do not miss such a magic! 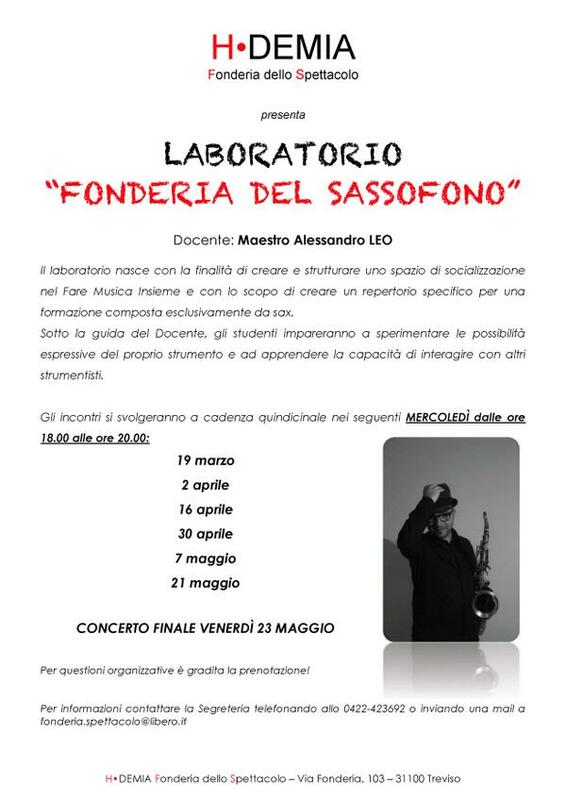 Alessandro Leo keeps on presenting the album "Adiafora"
With the magic of his sax Alessandro Leo keeps on presenting Antonella Chionna's album "Adiafora" next Saturday May 31, 2014 at 20:30 (8.30 p.m.) at Soloqui via Fontane 5 Zero Branco (TV). Next Saturday May 31, 2014 surrounded by Piazza Unità d'Italia in Trieste, the volcanic artist Angelo Chiocca will be exhibiting agian with the S.I.P. Band during the event "TRIESTE SUONA IN ROSA - ASPETTANDO IL GIRO D'ITALIA". A special eventing with good music and shopping waiting for the last lap of the Tour of Italy. The event will start at 21:30 (9.30 p.m.).........do not miss it!! An amazing concert for our artist Angelo Chiocca who will be exhibiting with Leroy Emmanuel a timeless myth, a legend, the history of soul & black music. An extraordinare chance to be part of a magicl, intense and fascinating moment during the San Vito Blues & Soul Festival on Wednesday August 6th at 21:00 (9.00 p.m.) at the Sala Polifunzionale of San Vito di Cadore (BL). Do not miss it!! Angelo, you are our myth! You are part of the great history called Black Music too! 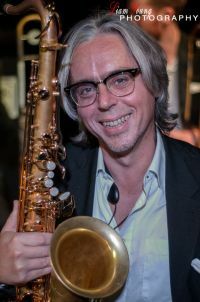 Last year's success has convinced Lev Pupis to propose again the experience of a saxophone masterclass in the amazing surrounding of Podsreda's Castle. 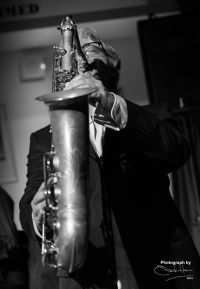 LEV PUPIS together with his quartet 4Saxess will be exhibiting in a concert on Friday May 16th at the Kleiner Konzertsaal at the Hochschule fuer Musik und Theater Muenchen. A rich program for a fascinating and excellent concert .... as usual!! During this weekend the most beautiful town on Danube, as the Italian writer Claudio Magris said, is hosting the Sequoia saxophones together with Roberto Buttus. 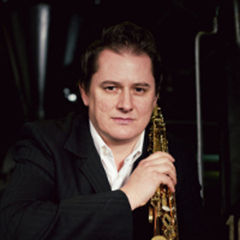 With his inseparable Sequoia sax there will also be there as leader of a Masterclass and in concert with S.O.S. Orchestra, our artist Lev Pupis. The Sequoia saxophones are great travellers .... now unstoppable!! Lev Pupis and his unstoppable rhythm! Thank you, Lev for giving Sequoia saxophones an international life!! CONCERT DEBUT FOR CD "ADIAFORA"
We wish you great success and all the best for the future ... always with Sequoia saxophones! Sequoia artists are constantly looking for new project and emotions. Aldevis Tibaldi is one of the best testimonals. Last 20th-21st April he successfully took part to a brand new project called "Floodtide project" held in Greenwich (UK) at National Martime Museum. Floodtide by John Eacott makes music from the movement of tidal water. A submerged sensor gathers information from the didal flow that is converted into musical notation read from screens or mobile phones by musicians. From this point ahead there's freedom of expression ... and Aldevis was a lively participant. Great!! Thanks a lot Aldevis! 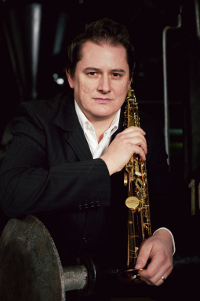 From April 14th to 17th the amazing town of Jastrebarsko in Croatia is host ing a Masterclass of saxophone whose leader, Lev Pupis together with his Sequoia will be able to caputre and rapture the yong participants. Relevant guests will turn over during the whole week and in the end there will be a concert held by S.O.S. Orchestra. A great chance to learn music by having fun! A cheerful atmosphere wrapped the meeting held in Velenje (SLO) last Saturday March 15, 2014 between S.O.S. Orchestra and the young S.O.S. JUNIOR. 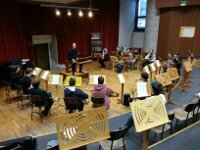 The young musicians wisely guided by M° Mitja Zerial worked hard on Ensemble Music. Experience and enthusiasm melt together to give birth to a music cocktail full of coulour and nuances. Thank you guys! MISS IO - Debut Concert next Wednesday March 26th at 10.00 p.m. at Londoners Via Cavour 15 Udine. Spring workshops keep going on. They are meant for people who want to "make music together". The workshops represent a moment of social activity and interaction with some other musicians. 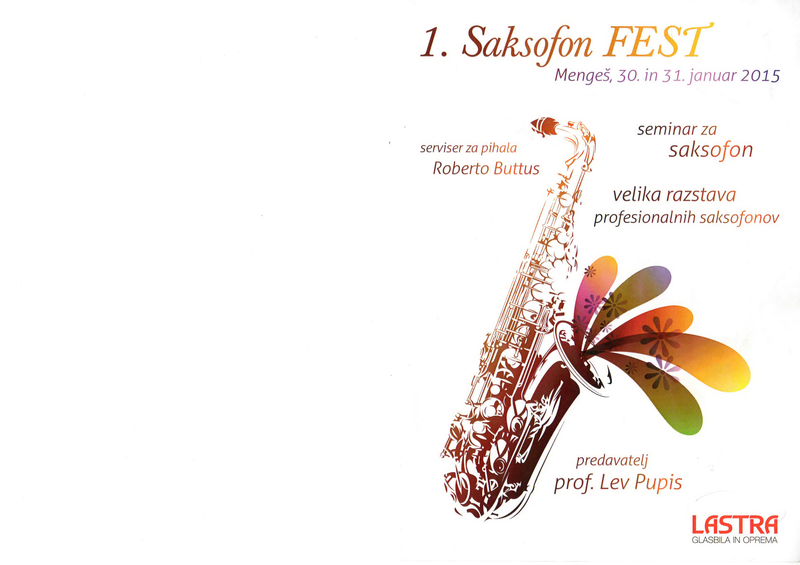 Next March 17th, 2014 the University of Music in Graz (Austria) is hosting Lev Pupis & 4Saxess for an interesting workshop during the Sax- Marathon. 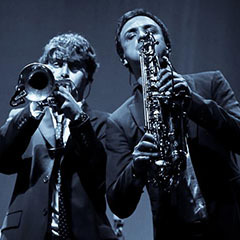 An unmissable chance to live a moment of passion, enthusiam and sax culture. March 15th, 2014. The Glasbena Sola in Velenje (SLO) exhibits the Sequoia saxophones for the whole day. This is a good chance to visit "the Sequoia world"! During the day there will be an unmissable event: S.O.S Orchestra & S.O.S Junior will be playing together in a concert. The strength of experience and the young enthusiasm melt to give life to an inimitable exhibition. March 2014 FEDERICO MISSIO & his concerts with "LA SCIMMIA NUDA"
Unstoppable Federico who, together with his artistic group "La Scimmia Nuda" keeps on fascinating the audience every Monday at CASA DELLA CONTADINANZA (UD) around 09.00 p.m.
Next March 14th, 2014 Lev Pupis and his Quartet 4 Saxess will be soloists during the concert together with the Sloven Philarmonic at the Ljubljana Festival. It's a chance not to be missed in order to be wrapped by an atmosphere of music performances and unique artistic experiences! Next March 9th and 10th, 2014 the 11° International Woodwind Competition "Davorin Jenko" will take place in Belgrade. Sequoia artists never get bored and Lev Pupis this time will be present at the Competition as member of the jury. Value, passion and commitment will be highly appreciated! A unique event where words, pictures and music meet together in a trialogue. 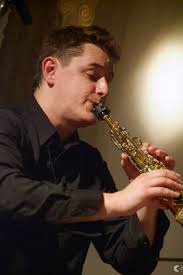 The event takes place at: CAVASTROPOI Petit Bistrot at 07.30 p.m.
An intense and richful carnet is the one expecting the artist Alessandro Leo who will give the chance, together with his workshops, to whom it may desire to get closer to the saxophone world. A chance absolutely not to be missed! Thanks Master Leo! 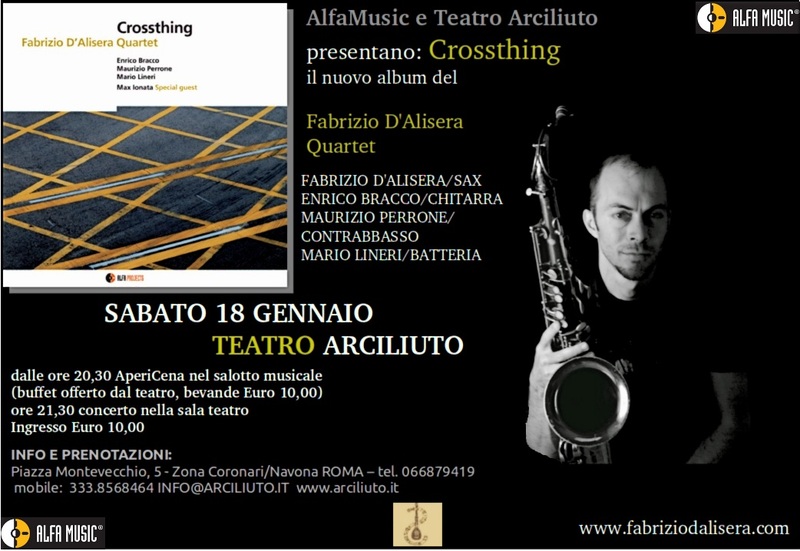 Fabrizio D'Alisera, Sequoia artist, is inviting us to a concert to listen to his new work "Crossthing" on Saturday January 18th, 2014 at 09.30 p.m. at the Teatro Arciliuto in Rome. LEV PUPIS WILL BE THE LEADING STAR IN A CONCERT IN BASEL (CH) TOGETHER WITH MAJA LISAC QUARTET AND MARIO GIOVANNELLI ON SATURDAY JANUARY 25th, 2014. The concert will be based on the Dvorak and Schostakovitch repertoire. Absolutely no to be missed! ANGELO CHIOCCA WILL BE THE LEADING STAR AT THE GWEN HUGHES LIVE ON SATURDAY JANUARY 25th, 2014 AT 10.00 p.m. AT "THE CORNER INVERNESS" IN MARENO DI PIAVE (TV) - ITALY. Angelo and Gwen will be giving life to a unique, special and amazing show where emotions and surprise will be playing the leading role. Do not miss it! Angelo Chiocca will be waiting for you together with his involving S.I.P. BAND in Trieste in Piazza Unità d'Italia on Tuesday December 31st starting from 08.30 p.m. to cheer and toast at the New Year. An amazing location for a concert not to be missed! A very vivid and certainly full of satisfaction is the upcoming period for our Sequoia artist Federico Missio. ROBERTO BUTTUS AND HIS SEQUOIA SAXOPHONES AT THE MASTERCLASS "CONSTRUCTION AND MAINTENANCE OF A SAXOPHONE" IN ISTRANA (TV). 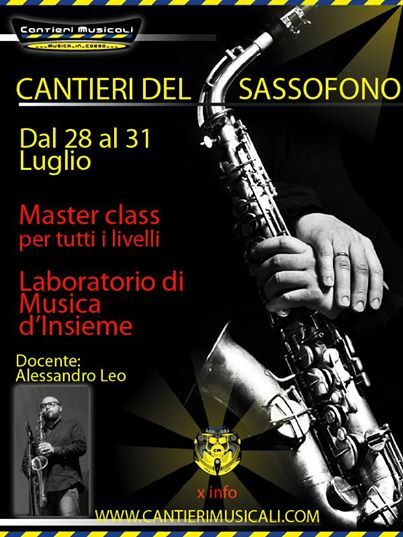 Roberto Buttus master craftsman, repairer of wind instruments and the mind of Sequoia saxophones will held a Masterclass concerning "The Construction and Maintenance of a Saxophone" next 23rd and 24th November 2013 at Cà Celsi in Istrana (TV). This will be a great moment to listen to and test the complete range of Sequoia saxophones which will be shown for the entire weekend. Master Alessandro Leo author and supporter of this event will exhibit in a "Recital per Saxofono" on Sunday November 24th at 11.00 a.m.
Do not miss it .... this will be a special moment to enjoy th Sequoia sound! 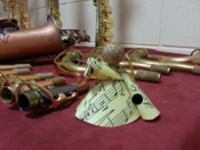 Sequoia saxophones are part of the social network! If you like to be informed on all news just ... FOLLOW us! Do not miss it! Stay tuned! The Sequoia saxophones will be the main characters of an amazing concert during EMONA the International Festival of Music which will be held in Ljubljana (Slovenija) from 24th to 27th November 2013. Further to the amazing success obtained from audience and critics during the Seqquoia saxophones exhibition in Camaiore (Tuscany) last October 19th we are pleased and highly proud to announce the opening of a new Sequoia point of sale in Tuscany. In the sunny and pleasant bathing place Bibione, in the Venice district, next Sunday 25th August the Sequoia artist Federico Missio will exibit in concert together with Sparkling Organ Quartet feat. David Boato. FEDERICO MISSIO IN CONCERT ON SEPTEMBER 5th and 6th. 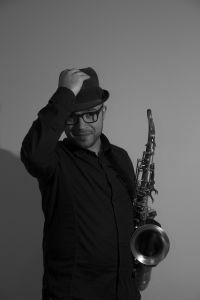 Surrounded by the amazing scenario of Potsreda Castle in Slovenia a saxophone masterclass will be held by Lev Pupis from 11 to 17 August upcoming. No holidays for the saxophones! From 19th to 23rd August the 4th International Summer School for Saxophone, Trumpet and Guitar (Saxophone Power 2013) will take place in Radenci (Slovenia). A successful end for the 7th International Sax Competition in Nova Gorica where the winner of 2nd prize awarded a Soprano Sequoia. On 28th June 2013 during the Festival in Nova Gorica (Slovenia) Lev Pupis will exhibit in an exciting concert. From 26th June to 6th July in Nova Gorica (Slovenia) it will take place the 17th International Saxophone Meeting in Slovenia. Surrounded by the amazing scenario of the Canussio Castle in Cividale del Friuli, during the Mittelfest 2013, Federico Missio wil be performing together with Juri Dal Dan Trio. 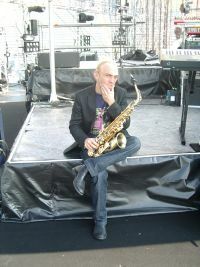 Andrea Innesto leading sax player for the Italian Rocker Vasco Rossi and his Sequoia Booster at the concerts LiveKom 2013. A revealing example how versatile the Sequoia sax is! Lev Pupis & S.O.S. 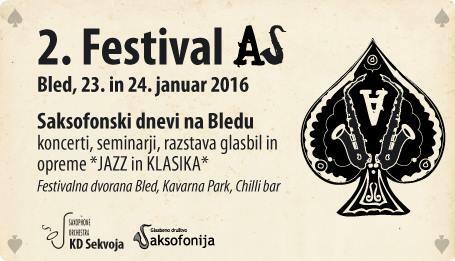 Orchestra (Orchestra of Sequoia Saxophones) will exibit in Belgrade (Serbia). 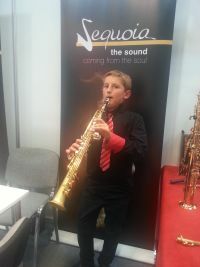 An unbelievable success for the Sequoia Saxophones in Slovenia. 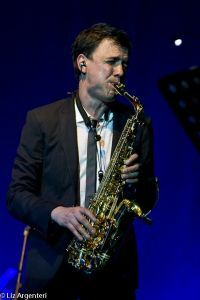 Lev Pupis and his quartet 4SAXESS will be in tour in USA. We are so proud ... our Sequoia Soprano is "widening the horizons". Federico Missio is member of the wind section during the entire Tour of the Italian singer Marco Mengoni.